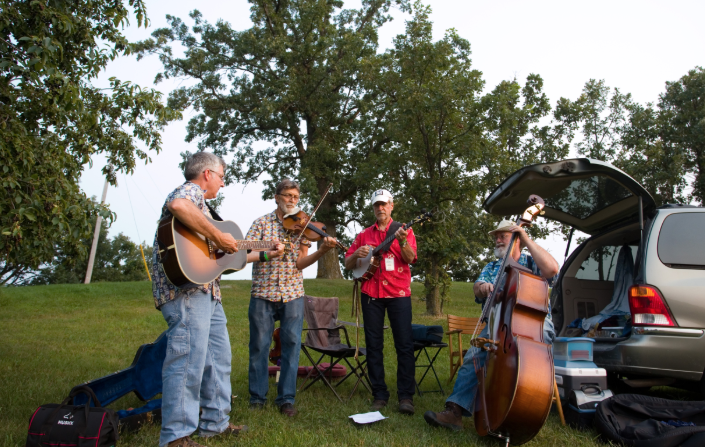 Founded in 1975, the Minnesota Bluegrass & Old-Time Music Association now has close to 1000 members and 100 member bands who love bluegrass, old-time string band, and related acoustic music. Our mission is to preserve and promote bluegrass and old-time stringband music in and around the state of Minnesota. We're a non-profit organization, presenting four festivals each year as well as a variety of jam sessions and other special events. Join us to become part of this wonderful group of people and help us continue to bring traditional acoustic music to the Upper Midwest. 33 donors, more than $3000 on Give to the Max Day! Congrats to the winners of the Minnesota Americana-Roots Music Contests!